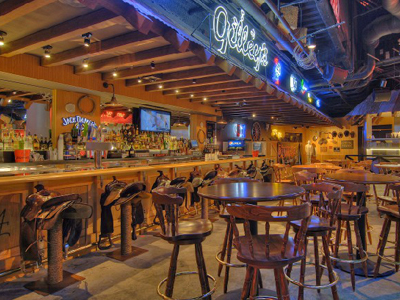 Gilley’s Saloon is located in the Treasure Island Hotel and Casino and offers a rowdy, fun time in this Wild West-themed bar. 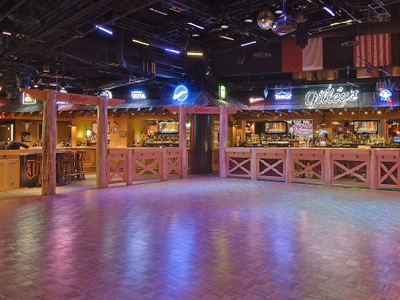 The Gilley Girls will make you feel welcome with their down home charm. They specialize in BBQ so bring your appetite. Gilley’s is the rowdy saloon of the old west revisited, located in the Treasure Island Hotel and Casino. There’s no dress code, so you’ll feel right at home wearing blue jeans and cowboy boots when you hop in the saddles that are the bar stools. Down-home meals and non-stop entertainment are served up by the famous bikini-clad Gilley Girls. 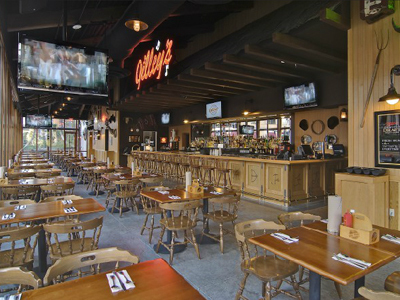 In addition to their many genuine barbeque dishes, Gilley’s has also put a country twist on several favorite standbys. 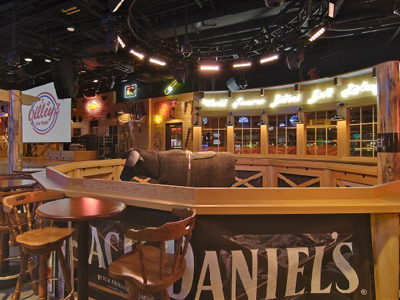 The dance hall is the place to strut your stuff and for the brave, riding the bull is a must at Gilley’s. Additional Information: The saloon features at least one drink special every night and competitions or live entertainment most nights. We enjoyed ourselves at Gilley’s. It’s a great country bar! The mechanical bull was so much fun. The hospitality was great. We would go back here again in the future. 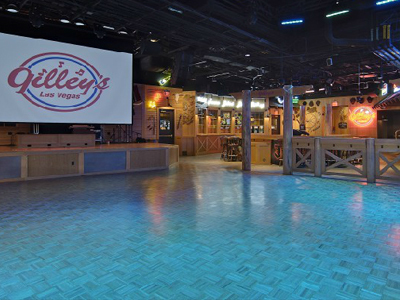 Gilley’s is a fun country themed bar, especially if you like to dance! There’s a mechanical bull, but we didn’t ride it cause it was a little expensive. Aside from the hot waitresses, this was nothing more than a generic country bar. 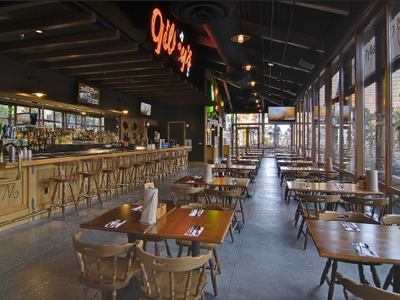 They didn’t serve any food, which is a must at any bar – even just some appys. The mechanical bull cost $10 to ride, which is pretty sad considering you last no more than 30 seconds. And the sign says they close at 2am – but kicked everyone out at 1:30am. Lame! Not worth it. But at least the waitresses are hot. I enjoyed myself and the hospitality was super. Best country bar on the strip! The bull is fun to ride!